When we think of the word “addict,” images of syringes and hard-core drug use often come to mind. But addiction as an obsessive and compulsive tendency to either ingest a substance or engage in a behavior may not be so black and white. We’ve all heard of “workaholics,” or of people who are “addicted” to Starbucks or going to the gym or teenagers who are “addicted” to video games. Maybe you’ve even felt that you were a chocolate “addict” when your spoon hit the bottom of that Ben and Jerry’s Super Fudge Chunk on a midnight refrigerator raid. But does liking chocolate too much or going to the gym too often make you an “addict”? Is that really addiction? Or, for that matter, does having a couple of drinks every night make you an alcoholic? There is research indicating that certain aspects of an individual's personality and temperament may put them at higher risk for addiction. Regardless of how addiction may manifest itself in a person’s life, there are several common red flags. The first major sign (and a diagnostic clinical criterion) is whether or not the behavior or the use of the substance is having a negative effect on your life. So if you’re asking yourself “am I an addict?” you need to honestly also ask yourself if your job, relationship or any other aspects of your personal or professional life are suffering because of the behavior in question. Deceit can also be a red flag. 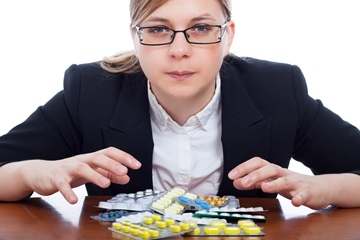 Are you lying about or hiding the drinking, drugging or problem behavior? That can be a very telling sign that there is an addiction issue. Another tell-tale sign that we hear many addicts talk about is describing addiction as going from a “want” to a “need”; in other words, the ingestion of the substance or the engagement in the problem behavior no longer feels like a voluntarily choice (want) but, rather, has morphed into an uncontrollable compulsion (need) (i.e. I must—eat this Ben and Jerry’s or I must have this drink in order to feel okay). 3. The substance or behavior is done more over a longer period than intended. 4. Unsuccessful efforts to cut down or control the substance or behavior. 5. A significantly large chunk of a person’s time is devoted to the addictive behavior or to obtaining the substance, using the substance, or recovering from its effects. There is research indicating that certain aspects of an individual's personality and temperament may potentially put them at a higher risk for addiction. For example, research has shown that people who get frustrated easily, are pessimistic, as well as those who are less resilient have higher rates of addiction. The same is true for those who have psychiatric disorders or for people who have suffered sexual abuse. According to the National Institute of Mental Health, patients with mental health problems are nearly three times as likely to have an addictive disorder as those without. Regarding the link between sexual abuse and addiction, here are some statistics from the Mental Health Association of New York State: teenagers with a drug and alcohol problem are 18-21 times more likely to have been sexually abused than those without a drug or alcohol problem; 75% of women in treatment programs report having been sexually abused. And speaking of families, according to SAMHSA (The Substance Abuse and Mental Health Services Administration), children of addicts are 2 to 4 times more likely to become addicts (whether that’s a result of a genetic predisposition or, instead, a byproduct of parents modeling addictive behaviors for their children is a matter of debate within the addiction field). All this research clearly demonstrates that things like temperament, mental health, biology and environment all play a role in what I like to call the “Perfect Storm of Addiction.” But it’s also important to point out that all of these variables merely indicate that a person might be more susceptible to developing an addiction issue—not that they will necessarily develop a problem. So are you an addict? It’s important to know that even if you are—there is help. If any of the aforementioned warning signs seem like they might apply to you, you should meet with a mental health professional to get from complete assessment. Potentially that professional can also point you in the right direction for treatment if you do indeed have a problem.